AUCI is a small application that sanitizes Unicode links from applications to ensure they will open correctly in Avant. This is a patch intended to fix Unicode URL issues that will eventually be resolved in Avant and Firefox natively. Not everybody will find themselves needing this, but I certainly do. Avant runs three rendering engines and is essentially a shell that sits on top of them. As you may expect, each renderer behaves differently, and adding Avant on top of the mix can make things very complicated. Avant is an old browser though, the code has gone through a lot since its first inception and I can only imagine there’s some old code in there. Unicode domains are a fairly new thing. The original web standard didn’t support it, and it now has to be hacked into every browser and DNS using an encoding technique called Punycode. In a lot of cases, this is the root of the problem. In other cases, the problem is how programs actually communicate to each other without knowing a standard protocol. 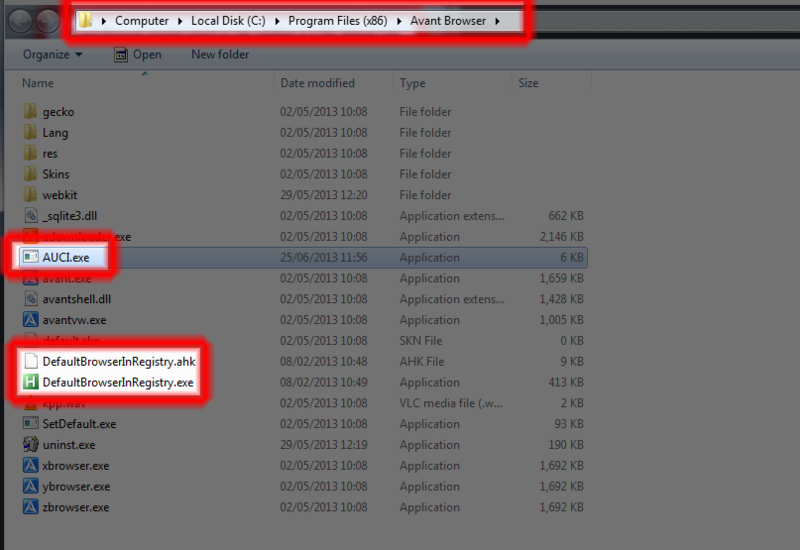 AUCI allows links like these to work correctly when opened from external applications. The first one is a Punycode escaped string. This is read by the browser and this text is sent straight into the web as is. The second is a Unicode URL, normally the browser will display it as Unicode to the user, but it must still be converted to Punycode before being sent off transparently. Currently, only chrome supports the third URL type, Firefox will error out. As you might expect, Avant with Chrome engine works, and with FF engine fails. 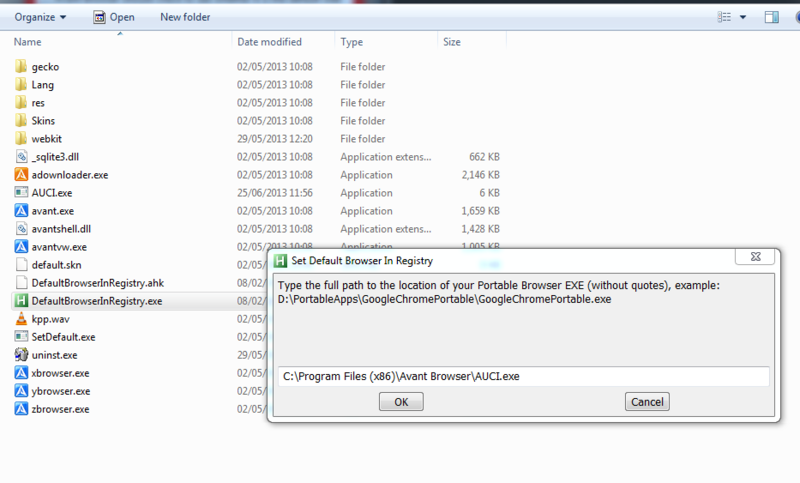 Applications can send those links in any format, for example, Steam (http://steampowered.com/) sends it in the third format. 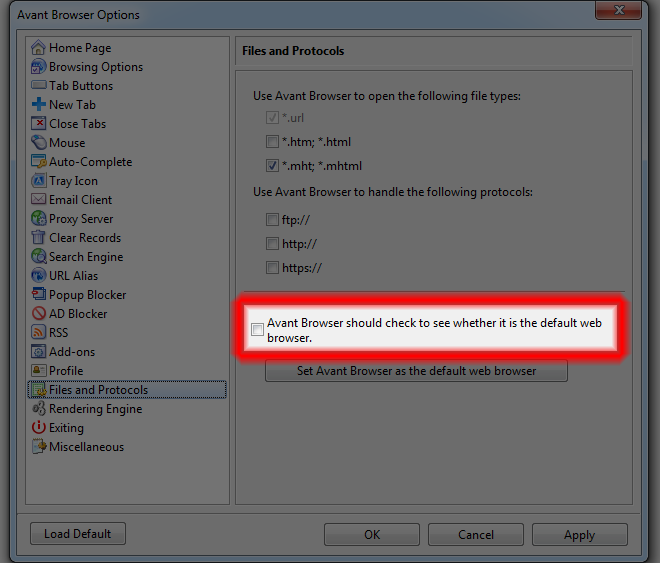 Open up Avant options and uncheck "Avant Browser should check to see whether it is the default web browser." For the application source code, see http://pastebin.com/rnJFKMV2. I clicked on the zip file url and it came back with a "File does not exist error." Hmm, not sure why. I don't host that server but I thought it's uptime should be 99%. If it happens anyone else I can make a mirror link.